Earlier today, my son Philip and I attended a presentation in Farmersville, Ohio today about the World Mission Prayer League (WMPL). This is a Lutheran organization committed to both praying for and sending missionaries to share the Good News of Jesus Christ in "underreached" parts of the world. * Underreached areas are those where people have had no chance to learn about Jesus Christ. At present, roughly one-third of all the people on earth have never heard the Name of Jesus Christ or the Good News about new life for all who turn from sin and believe in Him. And approximately 66,000 people die EACH DAY who have never been told about Jesus! This simply cannot be allowed to continue! Too many are dying without knowing that "everyone who calls on the Name of the Lord shall be saved" (Acts 2:21). WMPL helps Lutheran Christians pray together and joins in prayer with other Christians committed to Christ's Great Commission to "make disciples of all nations." WMPL never asks for money. With allowances for numbers of children, its entire staff, including its director as well as missionaries, is provided with the same salary and benefits. People who give the organization money do so from a commitment to reaching the unsaved for Jesus Christ. 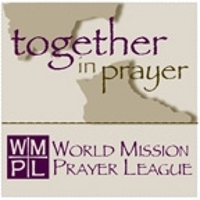 Go to the WMPL web site, here, and see how you can become a prayer partner with this worthy organization. Thanks to my colleague and friend, Pastor Larry Lindstrom and the people of Saint Andrew Lutheran Church for hosting this get-together with WMPL director Chuck Lindquist! *WMPL has respectful ties with other evangelical Christian groups, by the way. Earlier today, I went to the James Cancer Center at Ohio State for an evaluative appointment. In October, a small melanoma was removed from my left leg. In about a week, I'll have an outpatient procedure to remove surrounding tissue. I was impressed by the staff at the James and the ease with which I was registered. In addition to the doctor, I also met with a nurse practitioner. She looked at the wallet cards I carry identifying me as someone with both a stent and a defibrillator and said, "Do you know that the heart attack you had is what we call 'the widow maker'? It's a miracle you're alive. God must have plans for you." Miracles still happen. Why God chose to work this miracle on me, I don't know and no doubt won't know until I see Him face to face. But I pray that I will make the most of this life God has given to me. In any case, to God be all the glory! In the past four years, I’ve gotten to know Dorothy fairly well. Not as well as you who are her family and friends who loved her and knew her best, of course. But I came to know something of her personality and of her character. I can tell you that Dorothy loved her family. In the nearly monthly visits we shared, no visit went by without Dorothy telling me about how her parents taught her to believe in Christ and how that belief sustained her even when she went through bleak times. She loved to talk about her boys, Greg and Kirk. “I was so grateful to have them,” she would say, “that I spoiled them and I don’t think that it hurt them at all.” Then, she would always tell me how wonderful they were. I came to know that she appreciated her family and her friends--like Bessie, with whom she had a more than eighty year friendship, loved Logan, and enjoyed baseball, especially the Pittsburgh Pirates. And, almost from our first visit, Dorothy also conveyed the strong message that she was a red-hot Democrat. She still thought that Franklin Roosevelt was the greatest and, though John Edwards had been her first choice in the most recent election, came also to be a fan of Barack Obama. She was ready always to discuss current events with me when I arrived. Above all, I learned that Dorothy was a person of deep faith in Jesus Christ. But during almost every one of our visits, Dorothy seemed to return to the same question again and again. “Why am I still here?” she would ask. Sometimes, I would honestly say that while only God could answer that question, I could say that I was personally glad that she was around. Dorothy and her faith inspired me and I told her so. She was surprised to know that I found her inspiring, but my answer never pleased her. She was ready to leave this life and though she respected and accepted that her life was in God’s hands, she found God’s logic hard to comprehend. She knew that Jesus had prepared a place for her, just as He had for every believer she’d known and cherished most—Alec, her parents, and others. She knew that Jesus’ death on the cross, where He took the punishment for sin we all deserve, was not the end of His story. On the Sunday following His Good Friday death, Jesus rose from the dead and even today offers to all of us what we cannot and could never find on our own—not through religion, not through worldly achievement, not through satisfying personal relationships, not through our own efforts to combine what we think is best in all the world’s religions and philosophies. Jesus offers us the only way for any of us to connect with God, the source of life. Jesus saves us from the ravages of sin, death, aging and all that bedevils us here. This world, as wonderful and as blessed as it can be, is not all that God has in mind for us! He wants to give us new and everlasting life in direct fellowship with Him, a life so abundant, so full, so rich and real that we can hardly imagine it now. In the midst of her battles with depression, in the midst of her frustration with the way advancing years had robbed her of feeling productive, and even in the midst of her questions about why God was keeping her on this earth, always, always, Dorothy believed in Christ. She had confidence in the midst of her questions. She knew that Christ has prepared a place for all who believe in Him to be with Him and all the saints for all eternity. All tears will be dried and there will be joy and purpose and productivity and peace. I never knew a person with a clearer focus on heaven than Dorothy had and today, God be praised, she is with the Lord and all His saints, including Alec and her parents. I loved getting to know Dorothy. I’m excited that one day, because of the grace God gives to all who repent of sin and trust in Christ alone, I will get to see her once again. To all of you who knew and loved Dorothy best, I can say with confidence that, just as He did for Dorothy, Christ has prepared a place for you and I’m sure that Dorothy is waiting for you, too. Trust in Christ as Dorothy did and you will live each day on this earth in the certainty of an eternity of happy reunions and of endless joy. Knowing that, through Christ, you have life with God in eternity, can imbue each day you live here with a purpose and hope and joy you can find nowhere else! *Most people knew Dorothy's husband as Alex. But she always referred to him as Alec. How would you react if someone you trusted told you that by this time tomorrow, your life on this earth would be over? How would knowing the exact time of your death affect the way you lived? What would it do to your relationship with God? Chances are, if you're as wise as I think you are, you’d spend some of the next twenty-four hours repenting for sin, affirming your faith in Christ, and, to the extent you could, living a life of love for God and love for others. But, how would you react if at the twenty-third hour, the same trusted person who had told you that you had one day to live said, “Actually, you may have more than one hour left. You will die, but the time left is indefinite”? Would that seem like a reprieve from a death sentence or permission to ease up on the faith you so fervently confessed just the day before? When people in the first century AD came to faith in Christ, many assumed that Christ would be returning soon to judge the living and the dead and to fully establish His kingdom. They even had a term for the day when Jesus would do all this. They called it the parousia, a Greek word meaning presence, arrival, or even official visit. But as the early Church grew, the years went by, Christians were persecuted, and the first believers died, Christians grew restless. They felt like the parousia had been delayed and they wondered what the hang-up was. Why, they wondered, was Jesus waiting so long? And how could they keep on in faith with the return of Jesus now off in some indeterminate future? We Christians in 2011 may not spend much time considering when Jesus will be coming back. But we do know all about the frustration of not seeing the things for which we’ve hoped and prayed when we want to see them. Delayed gratification is as hard for us as it was for the first Christians. The Advent season we begin today is one in which we wait for the arrival of Christmas. It's also a time when we remember that, like those first Christians, we await the moment when we will see Jesus face to face. It may be long years from now. It may be in a few moments. It may be when Jesus returns to the earth. It may be when we leave the earth. But whenever it may be, we face the same question: How do we live until we meet the crucified and risen Jesus face to face? All of the second lessons of this Advent season focus on this question. Today’s lesson, from 1 Corinthians, reminds us that until we see Jesus, God gives us three special gifts. First, verse 4 says that “the grace of God has been given [to us[ in Christ Jesus.” In Christ, God gives the gift of grace. Grace is the charitable attitude that God has for every human being. But it’s more than mere sentiment. The most famous passage of Scripture, John 3:16, shows us that God acts on His attitude of grace. God the Father sent God the Son Jesus to live a simple life in the Judean hills, then to die as the perfect sacrifice for our sins, then to rise so that all who trust in Him will have what none of us deserve: new and everlasting life with God. The word we translate as grace is, in the original Greek of the New Testament, charitas, from which we get our English word, charity. While we wait to see Jesus face to face, we can live each day in the charitable grace of God. God will forgive the genuinely repentant. He will help those who humbly admit their need of Him. He will empower us to love Him and to love others with acts of service and kindness. While we await Jesus' return, God gives us grace. In verse 7, Paul says of believers in Jesus Christ that none are “lacking in any spiritual gift as you wait for the revealing of our Lord Jesus Christ.” God gives believers in Jesus Christ spiritual gifts. Being a follower of Jesus Christ is not a solo proposition. Some people say that they can worship God just as well on the golf course as they do in worship on a Sunday morning. While I know that God's Name probably gets used more on a golf course than it does in a church building, I don't agree. Just as we’re going to be part of a great company of believers in eternity, God means for us to be part of a great company of believers—the Church—here and now. And to each and every one us of God parcels out spiritual gifts with which He expects us to make ourselves useful to His purposes and to His Church as long as we draw breath. A few months ago, I was waiting for a prescription to be filled at Riverside Hospital in Columbus. I was in my collar, having gone there after visiting Janice and my own doctor. I was reading a magazine at a table, waiting. A janitor came in and went about his business quietly. I wasn’t going to say anything. I’d decided that, to the extent it was possible for anyone in a collar, I wanted to be anonymous. The janitor stood up and, with a beaming smile, returned my greeting. “Are you a priest or a pastor?” he asked. I explained that I was a Lutheran pastor. That began a conversation in which he told me some of his life story. Two years ago, this man, Daniel, and his wife fled Ethiopia, where they had faced persecution for their faith in Christ. Today, Daniel and his wife work different shifts at the hospital, both as janitors, so that one of them can be at home for their son at all times. Now, most people in Daniel’s position, having escaped a life of deprivation and fear, would content themselves with trying to work up to a better position and scratch together the money to buy a house and secure educations for their children. That, after all, is what we call the American Dream and there’s nothing wrong with it. And maybe that figures in the thinking of Daniel and his wife. But what he spent time telling me about was the growing church of which he’s a part, where 300 Ethiopian Christians and more gather to worship God each Sunday, and all the service and evangelism they’re doing together in the northern tier of Columbus. He also told me about the ministry he’s taken on at Riverside, a ministry he's so excited about that he's recruited his supervisor to help with it. Every day during his breaks, he and his supervisor go to the hospital chapel and pray for the intensive care patients and for anyone else aware of their ministry who asks for prayer. All Christians are called to “pray without ceasing,” of course. But my guess is that Daniel has the spiritual gift of intercession, the special passion God gives to some Christians to not only pray extensively for others, but also to persuade others in doing the same thing. Spiritual gifts aren’t what God gives you to make a living, they’re what God gives you to be fully alive in Christ. What spiritual gift has God given to you to honor God, to tell others about Jesus, and to encourage and build up Christ’s Church? God’s Word says that you’ve got at least spiritual gift, maybe more, and using your gift is one way God wants you to spend the time between now and when you see Jesus face to face. Verse 8 of our lesson says that the risen and ascended Jesus will “strengthen you to the end, so that you may be blameless on the day of our Lord Jesus Christ.” As we wait to see Jesus face to face, God gives us the power for holy living. This doesn’t mean that you and I will be perfect. Only God is perfect. But, as we live in relationship with Jesus, daily owning our sins, putting our lives before Him for examination, and seeking His help for living more like Him today than we did yesterday, His power for holy living will invade our lives. One method I use to stay close to Christ and His power in my life is the ACTS method for daily prayer. By praying each day in this way, I try to keep my priorities straight. With adoration, I begin my prayers by praising God for Who He is. In confession, I admit my sins and ask God to show me others of which I’m unaware. I seek forgiveness in Christ’s Name and receive the power of the Holy Spirit to live differently. In thanksgiving, I name and thank God for my blessings. My wife. My kids. My life and the new life I have through Jesus. My work. My extended family. This church. And, most of all, for Jesus Christ. Finally, after I’ve transacted this business, I feel free to offer supplications, my requests. I invite God into all the people’s lives and circumstances for which I pray. I pray for our sick. I pray for those who mourn. I pray that God would help every member of Saint Matthew to experience and enjoy God’s presence with them that day; that God would cause our congregation to grow in faith, in numbers, in generosity, and in joy. I pray for my family and friends. Like your days, folks, mine can get busy. But what I have learned is that the busier I get, the more I need to pray and that the more I pray, the more actual good I get done each day. When we make requests in Jesus’ Name, it’s like turning the tap of heaven onto every person and circumstance for which we pray. As someone has said, "When we work, we work; when we pray, God works." the power for holy living. Psalm 46:10 tells us to “be still and know” that God is our God. So, sometime this week, hop off the merry-go-round and take a little quiet time with just God and you.